Connections allow you to view which Ideas are related. To add, edit or remove Connections, click the Connections tab on your chosen Idea. Navigate to Ideas, click on the Connect Ideas icon and select the Ideas you would like to connect. 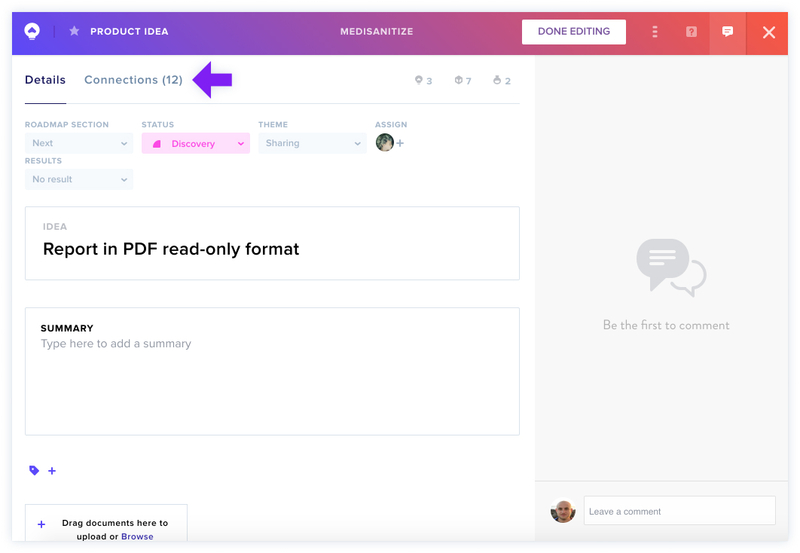 Once you've connected your Idea, you can edit or remove Connections by navigating back to the Connections tab and unselecting the relevant Idea. Read more about connecting Ideas on the Canvas here.